The SFI Research Experiences for Undergraduates (REU) program is a ten-week residential research opportunity in which students develop innovative research projects in collaboration with an SFI mentor. The program asks students to discard traditional disciplinary boundaries, and combine concepts and tools from the physical, natural, and social sciences. This allows students to ask big questions about real-world complex systems using the rigorous methods employed at the Santa Fe Institute. The program is designed to assist students in developing their own research questions and projects in close collaboration with the SFI faculty and postdoctoral fellows. It has become increasingly vital for students across the sciences to gain computational and mathematical skills: the ability to translate real-world systems into quantitative models, carry out computational experiments, analyze these experiments using statistics, and compare results with real-world data. Students need to understand the strengths and weaknesses of multiple types of models — such as differential equations, discrete stochastic processes, and agent-based simulations — and judge which are useful for a given scientific question. At the same time, there is the need to combine these quantitative techniques with knowledge about specific systems in order to address the most important and frontier questions of the 21st century. The REU SFI program is designed to meet these 21st-century needs through an exchange of quantitative techniques and specific knowledge. The REUs naturally form a tight-knit and supportive community, facilitated by living together in a campus setting and participating in a variety of social activities. Students are encouraged to, and in practice do, support each other socially and academically. Given the multi-disciplinary nature of the students and the program, students support each other using their respective strengths: a math major might help a biologist with a calculation; a computer science major might help coding and analyzing an algorithm; and a social or behavioral science major might help transform and analyze experimental data. The program recruits undergraduates from many different majors, ranging from computer science to physics, mathematics, biology, and the social sciences. We pair these students with mentors from many different scientific backgrounds, who guide the REUs through projects that cross multiple fields. 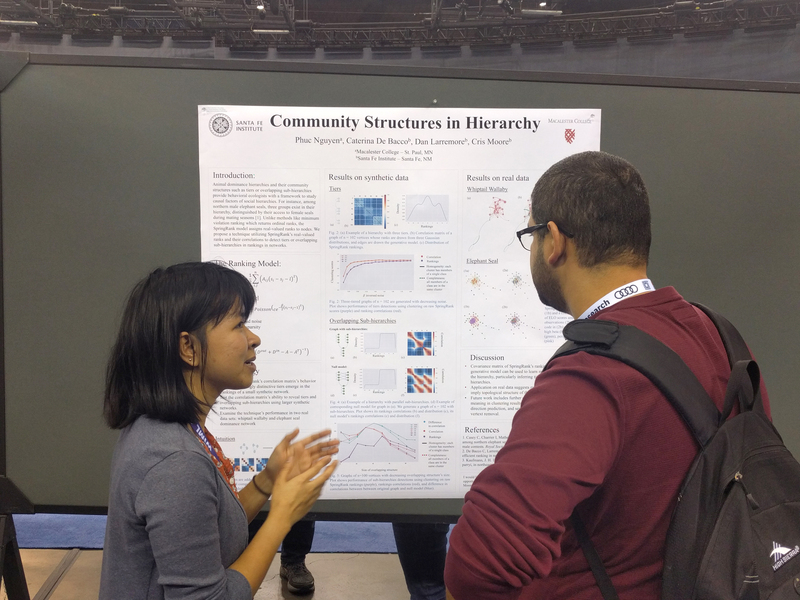 Recent project areas have included natural language processing, topic modeling, epidemiology, network theory, cell biology, and statistical physics. Projects have ranged from simulation to data analysis to proving theorems. 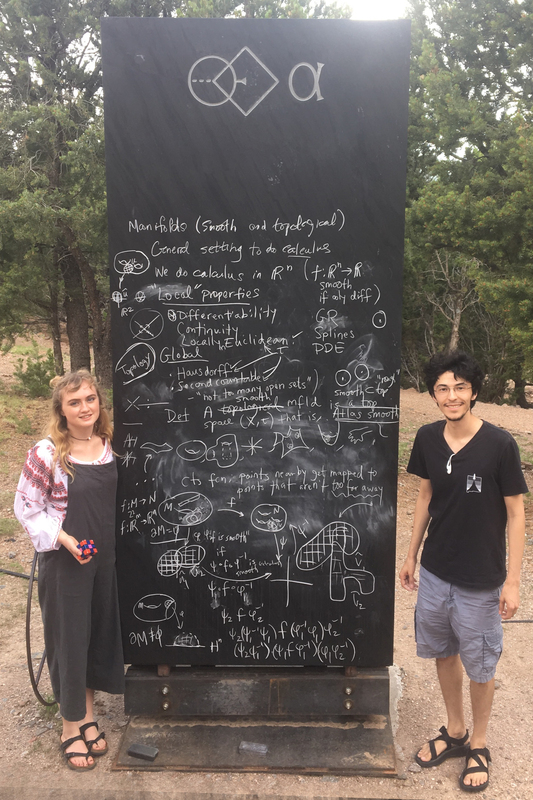 Students are in residence in Santa Fe for approximately 10 weeks, from June 2 to August 10, 2019. Prior to their SFI residency, students are encouraged to complete the online course “Introduction to Complexity” available on SFI’s Complexity Explorer (complexityexplorer.org). Students also have the opportunity to attend part of SFI’s flagship Complex Systems Summer School. Throughout the summer, students are offered tutorials on the basics of data analysis, including concepts from computation, linear algebra, and statistics. Tutorials are also offered on science writing, presenting research, applying for jobs in science and how to pick a graduate school that is right for you. Mentors in this program include a range of specialists, including SFI resident and external faculty and post-doctoral fellows. The principal investigator of the REU program, Christopher Kempes, is an SFI Professor. Chris generally focuses his work on biological architecture—which may include phenomena ranging from explicit biological morphology to metabolic and genetic network structure—as an intermediate between organism physiology and environmental conditions. Housing and meals are provided at no cost to the student. Students reside in double-occupancy rooms with shared bathrooms at a nearby college in Santa Fe. Because Santa Fe lacks a full public transportation system, we encourage interns who can bring private transportation to do so. They can arrange to be reimbursed for travel to the institute and back to campus each day. A stipend is also provided to students. For the purposes of this program, an undergraduate student is a student who is enrolled in a degree program (part-time or full-time) leading to a baccalaureate or associate degree. Students transferring from one institution to another who are enrolled at neither institution during the intervening summer may participate. College seniors graduating in Spring 2019 are not eligible. High school graduates who have been accepted at an undergraduate institution but who have not yet started their undergraduate study are also eligible to participate. Strong mathematical skills and experience with a programming language are favorably considered. Students from all backgrounds in the physical, natural, and social sciences are invited to participate. Applicants are welcome from any country. International students will need to be sponsored on an F-1 visa by their home institution (contact your international office at your university to inquire about CPT/OPT status). Women, students from underrepresented groups, and students from institutions with limited research opportunities are especially encouraged to apply. One (1) letter of recommendation from a professor or advisor (see application for details). Statement of interests (see application for details). Transcript from each college or university attended. Transcript(s) must be sent by the university or college you attended. Be sure to request your transcripts from the registrar sufficiently in advance so that we receive these records by the January deadline. Electronic transcripts preferred. We will be accepting applications for 2019 at the beginning of October 2018 through January 7, 2019. Applicants should be notified by e-mail in February 2019 regarding the status of their applications. Application Deadline: 11:59 pm MST on January 7, 2019. Santa Fe, NM 87501. For further information about the program, please e-mail education@santafe.edu, or call (505) 946-2726. 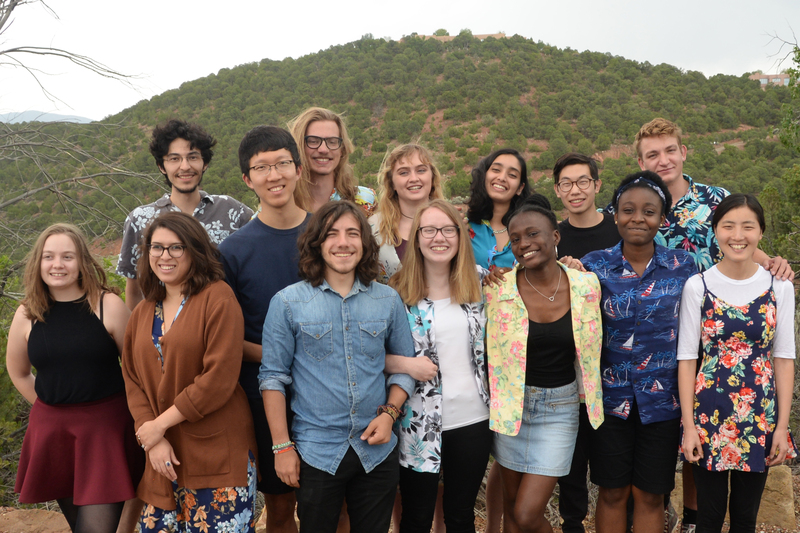 The Santa Fe Institute REU Program is supported by the National Science Foundation under Grant Number ACI-1757923, the ASU-SFI Center for Biosocial Complex Systems and private donors. Any opinions, findings, and conclusions or recommendations expressed in this material are those of the author(s) and do not necessarily reflect the views of the National Science Foundation or Arizona State University. Conduct one-on-one research with an SFI faculty or postdoctoral mentor working on an individual research project. Note: The application deadline for 2019 has passed. The 2020 application process should open sometime in October.